Xplore welcomed Ipswich YM RUFC U10s team to Worksop in Nottinghamshire over the Easter weekend and everyone had a brilliant time. Their feedback told us the players had a great time with activities and enjoyed the food and interaction with Xplore staff. The Southwold Rugby Club Mini’s section recently won a team building day at Xplore for their teamwork, respect, enjoyment, discipline and sportsmanship. 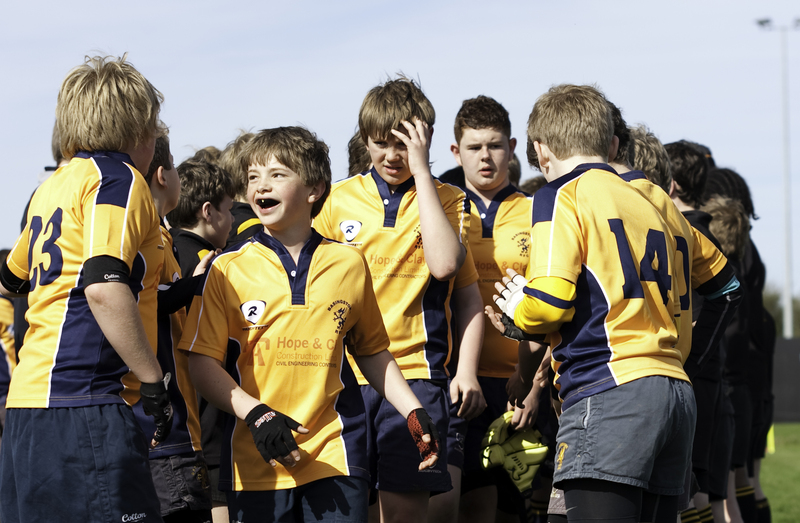 The team won the prize during the Bury St Edmunds RUFC Mini’s Festival earlier in the season. As a result the club was invited by the team at Xplore to a team building fun day at Finborough Hall, Suffolk. The day included activities such as quad biking, crate climbing, bushcraft, air rifles, trust trail, raft building, archery and orienteering. The team, their coaches and parents had a great day. ‘I would like to thank the Xplore team for a great day out at Finborough. On behalf of the club, kids and parents I would like to thank the guys for their enthusiasm, fun, and expertise. A fantastic experience!‘ Piers Currie, Minis Chairman, Southwold Rugby Club.